Question: What’s better than freshly-baked, homemade cookies? Answer: Skipping the “stir, bake, do the dishes” steps and instead going straight to bake and eat! 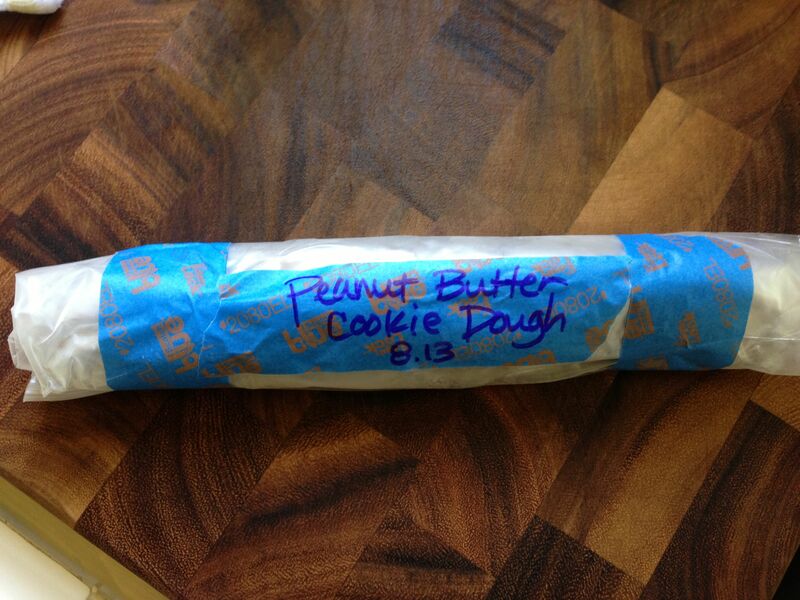 One of my favorite freezer staples is cookie dough. Whenever I take the time to whip up a batch of cookie dough, I try to make enough to save some in the freezer for another time. We invited some friends for dinner last week, and my husband requested peanut butter cookies for dessert. Since there were only four of us, I decided to bake only a dozen cookies and save the rest of the dough for later. You can save your dough in a number of ways, but both of these are super quick. 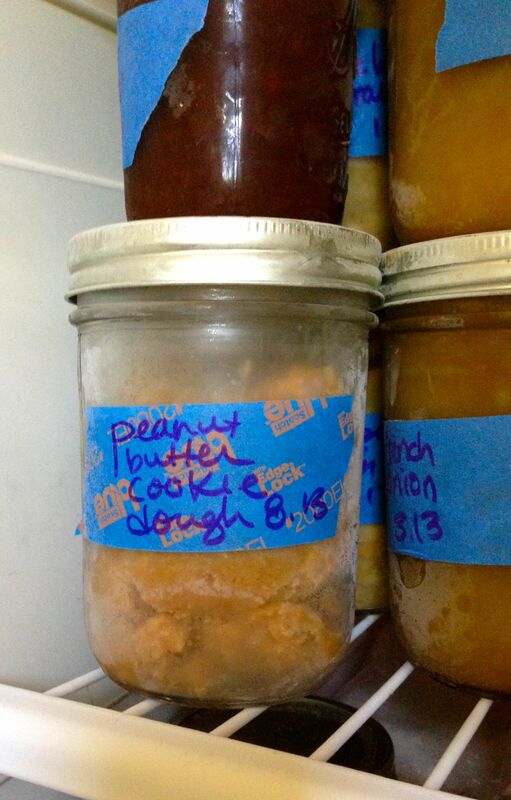 Simply scrape the dough into a freezer-safe Mason jar, add a label, and throw it into the freezer (or place it gently!). When you’re ready for freshly baked cookies, thaw the dough in the fridge until soft, and then pull the dough out and bake. Freezing leftover dough into a “cookie wand” is another easy way to enjoy freshly baked cookies. What I love about this method is that it allows you to decide how many cookies you want to bake. If you freeze all of your dough into a Mason jar, you need to use it all up, ie bake all the cookies at once, because you can’t re-freeze the dough once it has been thawed. However, freezing the dough into a cookie wand allows you to cut off as many frozen cookies as you like. The remaining dough goes back into the freezer to be enjoyed at a later time. Hooray! Awesome tip! And here’s a question – what if I can make the dough tonight but want to bake the cookies tomorrow. Can I just leave the dough in the fridge overnight? yes, of course! make the dough today and then stick it in the fridge tomorrow for baking. this is a great way of managing time in the kitchen!! if you have any extra dough that you’re not planning to bake right away, stick it in the freezer for later enjoying. thanks for an extra time-saving tip, sarah!! 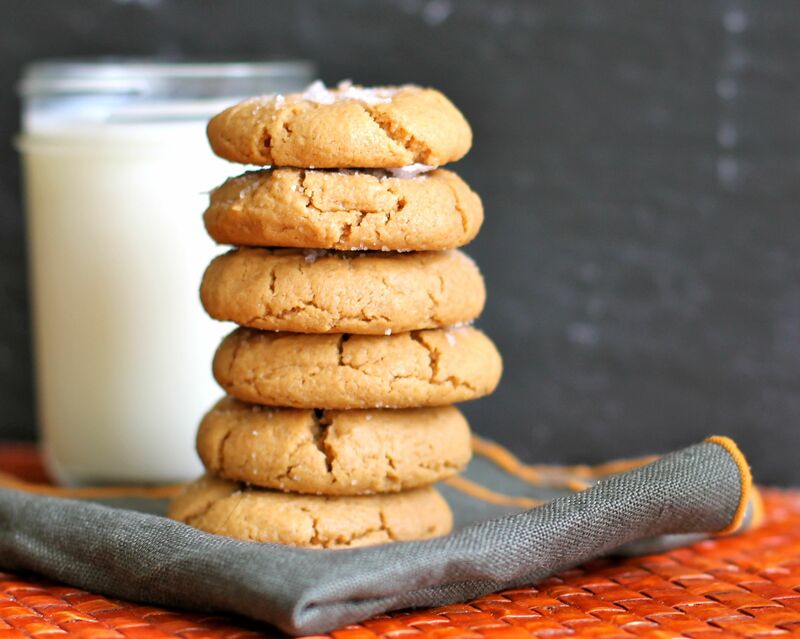 As the recipient of some of these cookies and a lover of this trick, I am SO happy you posted this … These were the best cookies i had had in months! !